We are leading manufacturer and exporter of Mustard Oil Filling Machine and our product is made up of good quality. G- Tech Packaging Solution, with its inception in the year 2011, became one of the fines manufacturers and suppliers of a commendable and diverse range of Bottle Packaging Machines. 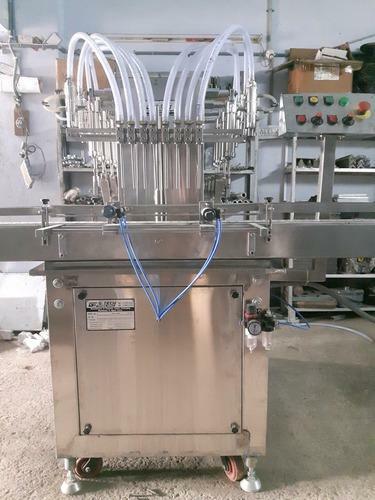 The range offered is made up of the finest Filling Machines, Capping Machines and Labeling Machines, having a high demand in the market. Making of this range is done as per the set industry norms and guidelines, utilizing the finest raw materials and modern machines. This ensures the product’s performance, service life, strength, capacity and precision. In addition to this, the offered range is known to be marked at the most reasonable rate possible. The highly modernized infrastructural facility at G- Tech Packaging Solution, has been equipped with all the necessary machinery and equipment, needed for the attainment of a number of the firm’s predefined goals and objectives. The facility regularly upgraded, help us in the maximization of our presence in the market. For reasons of attaining smoother and effective management of the firm’s operations, the facility has been parted into a number of highly operational units. These units, in the most united manner, help us boost our production capacity. In addition to this, we have a huge client base.